This pack is included as a co-ordinating add-on kit for the October 2017 Storyteller. 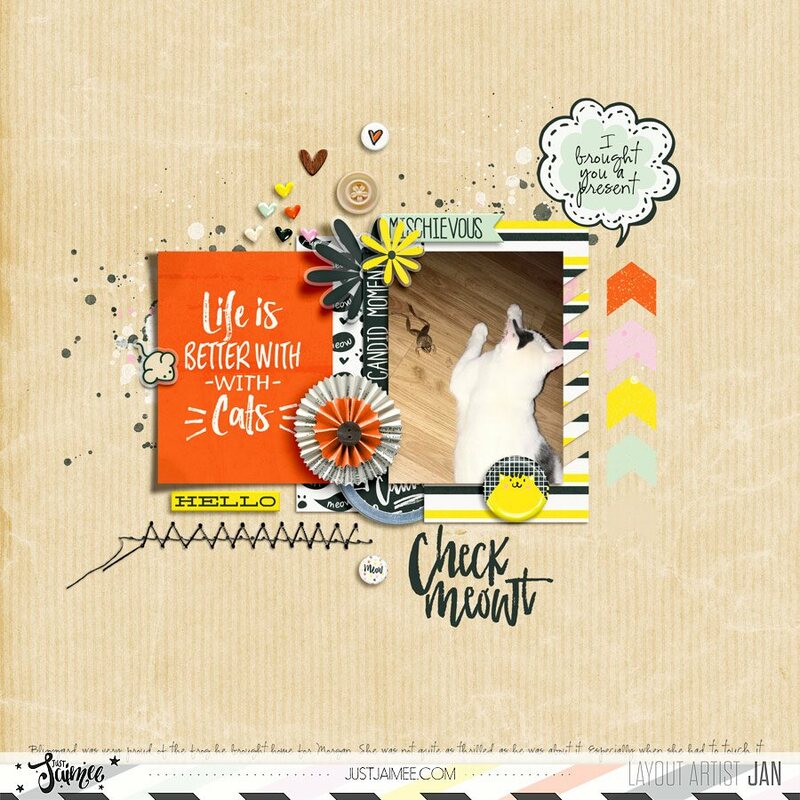 October's first Storyteller Add-on kit has arrived, and it is Cats! 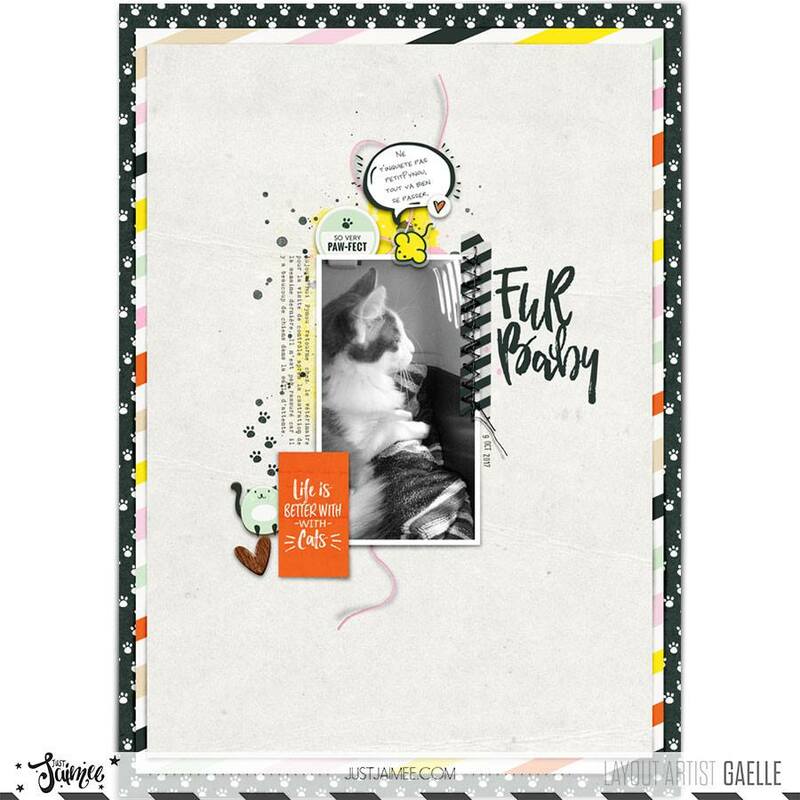 For anyone who has ever lost a part of their heart to a kitty, this kit combines a mixture of themed and non-theme specific papers and elements to tell your favorite cat-tale! The modern color story includes yellow, orange, pink, mint, black and white with khaki to set off your photos perfectly. 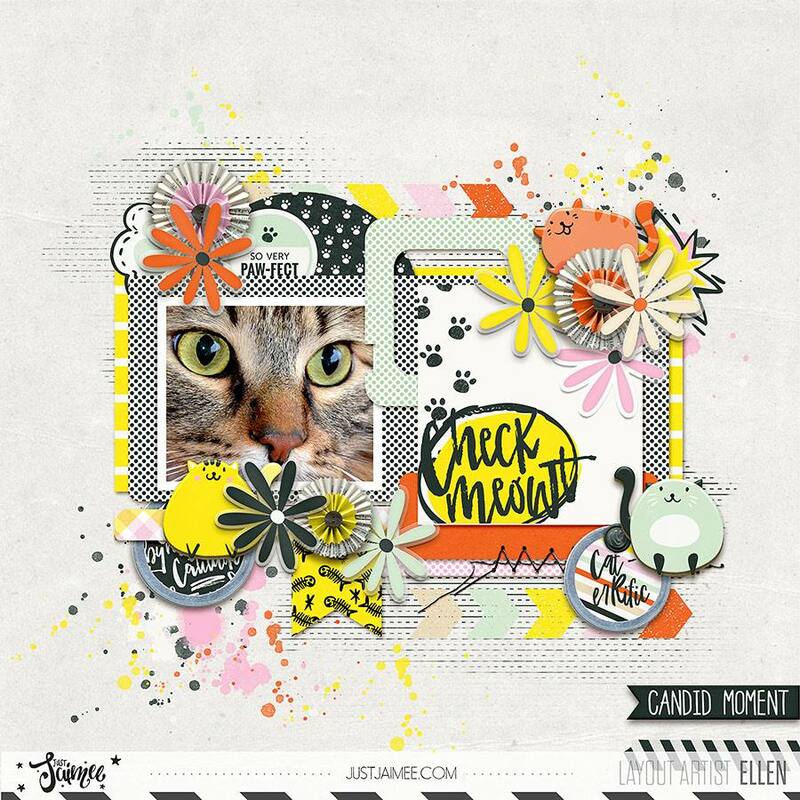 Jaimee's usual panache is on display this month with doodled cats decorating journal cards as well as truly kitterific sentiments such as Check Meow-t! and Fur Baby. Check out "Cats" today! 10 journal cards in various orientations and alternatives. Printable PDF also included.